"March is a great month to wrap up your knitting, then put away the needles till the first leaves fall in late August", said nobody who is still interested enough in yarn to be reading this blog in April. Regardless, I did do a lot of knitting in March, per the Knitting Planner I've been using since January. How much is 'a lot'? Just over 60 hours' worth. Considering my goal is to spend between 41 and 62 hours of each month knitting or weaving or spinning - anything that is going to get yarn out of my house - and also that I was starting into my grueling schedule of More Writing Please at the time, that is definitely a lot. 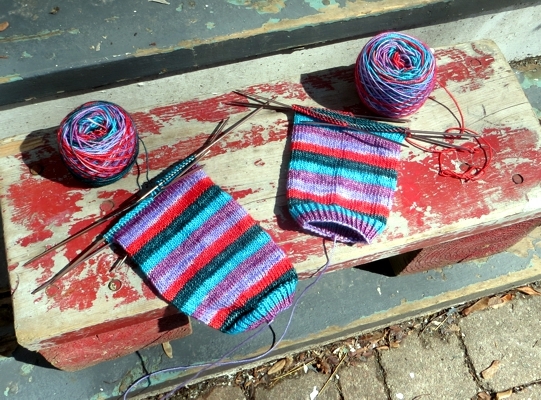 In March, I knit a pair of fingerless gloves - though I will admit straight out, I have still not run in the many, many ends that resulted from my desperate efforts to match up the handspun colours between each glove. I spun 3/4 of a braid of fiber - how embarrassing is it that I still haven't managed to get to the last bit? 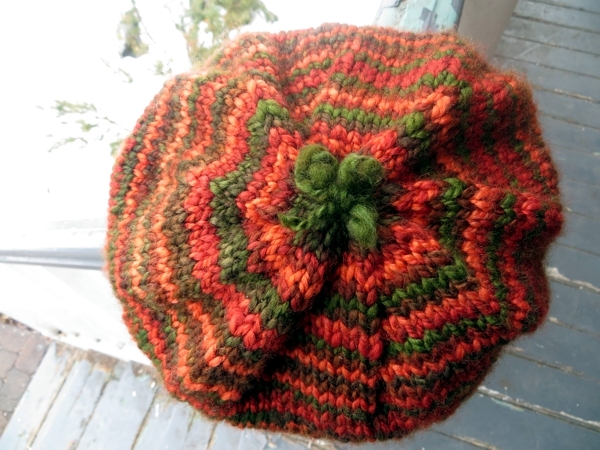 - and I knit a hat from a different braid's worth of handspun yarn. The fact that I had to give the hat away on discovering it looked pretty darned wrong on my head is a bonus really, if you consider my underlying goal of yarn stash reduction. There was a very, very small amount of scarf weaving. Right now things are not looking good for any more happening in April, but we live in hope. Because this scarf is looking pretty super amazing and just - wow. 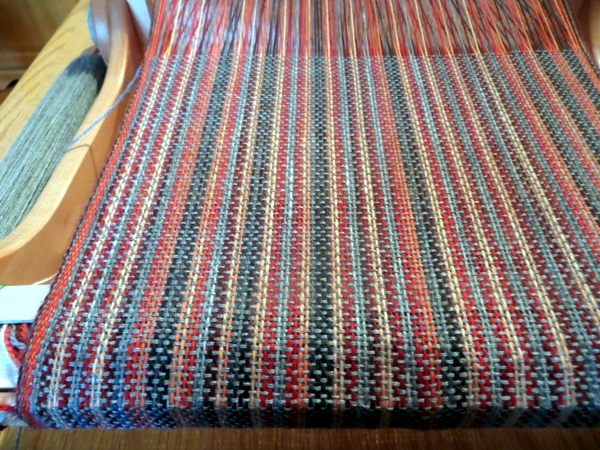 I can't wait to get it off the loom. 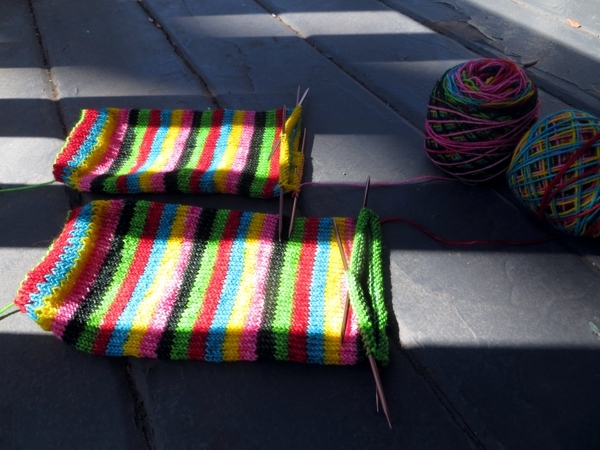 I got a start on two pairs of very stripey socks, and made a finish on a third. And I thought ever so much about all of it. If we could move knitting needles simply by power of thought, can you imagine how many things we'd finish every day? Probably I shouldn't be greedy, since I managed two hours of knitting every day in March. Given my schedule lately that's pretty impressive but I don't know whether that is a lot by your standards. I often wonder how much knitting time other people get and maybe you do too: for example, if you read The Yarn Harlot enough you may feel the answer is More Than Me. And yet, if I knit more than I already do, what else could I possibly get done in a day? baskets overflowing with yarn in plastic bags, the better to deflect the attentions of any invading moths, and a Loom that sits out all. the. time. To say nothing of the spinning wheel that tries to blend in as a faux end table at one side of a sofa, thereby blocking access to a bookshelf and - yes - an unfinished shawl. See what I mean? It gets - messy. And it's not just yarn. For years and years I have had this dream of a perfectly coordinating wardrobe of just a few timeless mix- and match-able pieces that can get you through whatever a day can throw at you, and live the rest of the time in a closet full of white space. Nothing that doesn't fit perfectly or look wonderful on you or feel fabulous to move around in. That does sound more than a little yummy, don't you think? Even if it does suggest a need for frequent laundry-doing. Over the weekend with this lovely image in mind I bought seven new articles of clothing that fit this description, then edited what seemed like about 40 pieces of uncooperative clothing out of my closet. When I was done I still couldn't get the doors closed. SIGH. That's nothing though, because I am pretty sure my yarn takes up more square footage than my clothes do. This is not something I will take up valuable knitting time to test, you understand. But it feels likely, so I'm going to state it as near-fact. 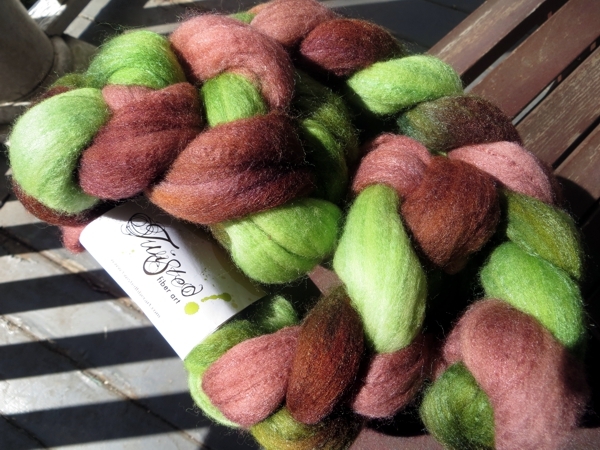 4/ I let Trish talk me into joining the Indigo Dragonfly yarn club, which is going to keep us both in yarn for the next year. Maybe I should work on that whole 'knitting powered by thought' thing. Okay, that's enough rambling by me for one day because I have to get to work. On Tuesday it's The Twitter and, with luck, a lot of super fun knitting time for us all. See you again here on Wednesday!